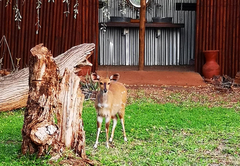 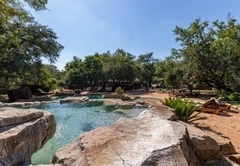 Boulders Safari Lodge is a Mpumalanga game lodge providing a wildlife experience for tourists visiting Wild Frontier. 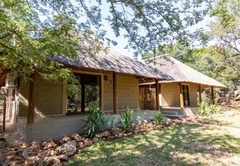 Situated in the Lowveld, within a close distance to Malelane, Boulders Safari Lodge offers accommodation on a 7000-ha private game reserve. 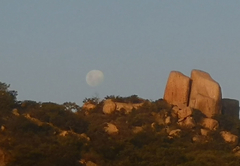 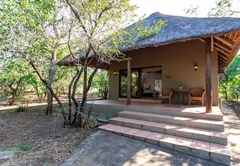 Here you are near to the entrance to the Kruger National Park. 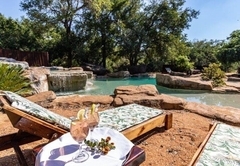 Guests can look forward to relaxing at the rock pool and outside bar service. 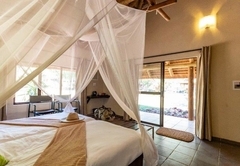 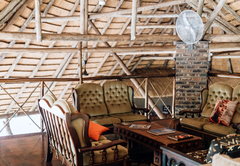 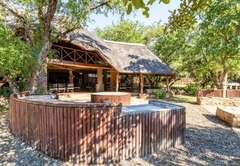 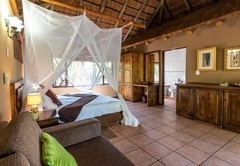 Boulders Safari Lodge is a game lodge sleeping up to 56 guests in total in thatched air-conditioned B&B chalets. 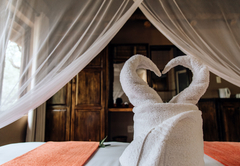 Laundry services are also available upon request. 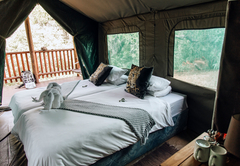 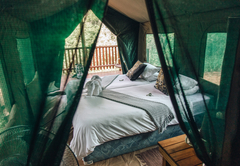 The 24 air-conditioned standard chalets offer comfortable twin beds as well as an en-suite bathroom with a shower, toilet and a basin. 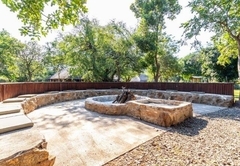 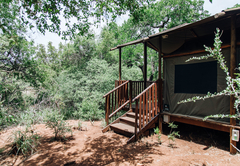 The bushveld surrounding the units boasts views of the fauna & flora. 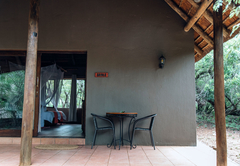 All standard chalets are fitted with tea / coffee making facilities. 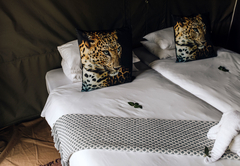 The chalets are air-conditioned and offer comfortable twin beds and an en-suite bathrooms with a bath, toilet and basin. 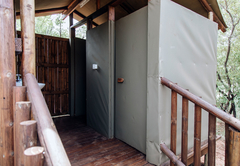 There is also an additional toilet with a separate entrance. 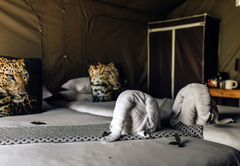 The children are able to sleep on the fold out sleeper couch. 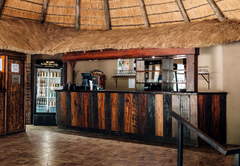 The chalets are equipped with a coffee / tea making facilities. 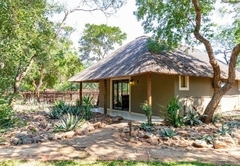 Guest are able to do bush walks in the Kruger National Park. 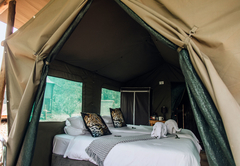 Game drives are not included in the rates however they can be arranged. 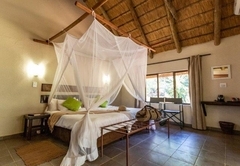 There are morning, afternoon and full day Safari Game Drives available. 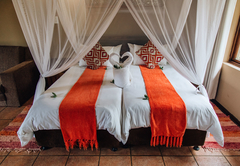 The accommodation rates included either bed and breakfast or dinner, bed and breakfast. 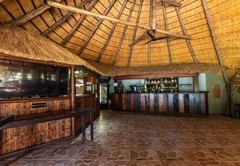 There is a fully licensed bar area. 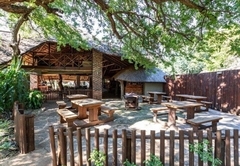 The onsite restaurant serves a buffet meal and guests can expect to enjoy traditional South African dishes. 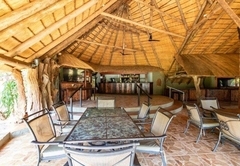 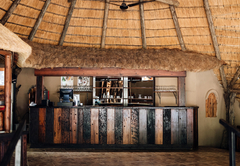 A large dining area under a thatched roof offers an A la carte as well as buffet meals. 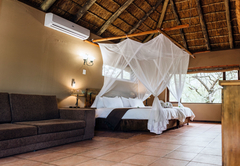 Accommodation is provided in 26 air-conditioned chalets, with thatched roofs and en-suite bathrooms. 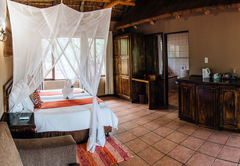 Each chalet has twin beds able to accommodate two guests per room. 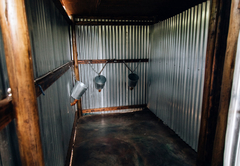 Bathroom facilities include a shower, toilet and basin. 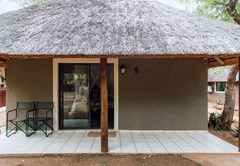 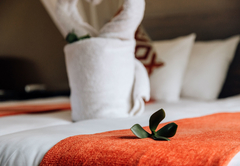 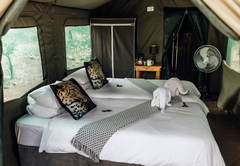 The air-conditioned rooms have comfortable twin bed arrangements and en-suite bathrooms with a bath, toilet and wash basin as well as an additional toilet with a separate entrance. 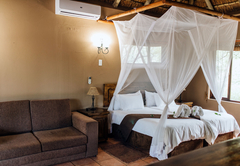 These rooms also feature a fold-down sleeper couch that could accommodate young children under the age of 12. 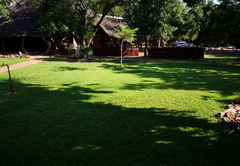 The typical bushveld savannah surrounding the units offers splendid views of the local fauna and flora. 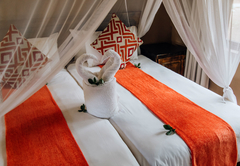 The Luxury Rooms are equipped with a coffee station for personal enjoyment.